Over at buckenderra the fly fishing has been up and down that is all to do with the heat and wind but late in the afternoons things get better mostly rainbows in close just getting on dark. At middling bank the water is a lot warmer so start fishing all the gully’s where the deeper waters are, Best flies are woolly buggers, bead head nymphs, muddlers retrieve nice and slow. Rushes bay the water is at lot cooler then other places the reports are the bigger the bay the better the fishing. Over at braemer bay things are a lot better most fly fishers are fishing the weedy banks with some good results, Bead head nymphs, woolly buggers, and on the dry’s klinkhammers and Stimulators are going well. Overall the fishing has been good at the right times early and late have been the key, If you're fishing though the day things are going to be tuff!! It’s still fishing well from the dam wall to the river mouth mostly browns all on wet flies woolly buggers, Muddlers, Fuzzy’s, and Nymphs. This is the time to start fishing this dam the grasshoppers are out the mud eye’s are about and the fishing is starting to pick up so if you like fishing and hiking it’s time to start before it’s to late. 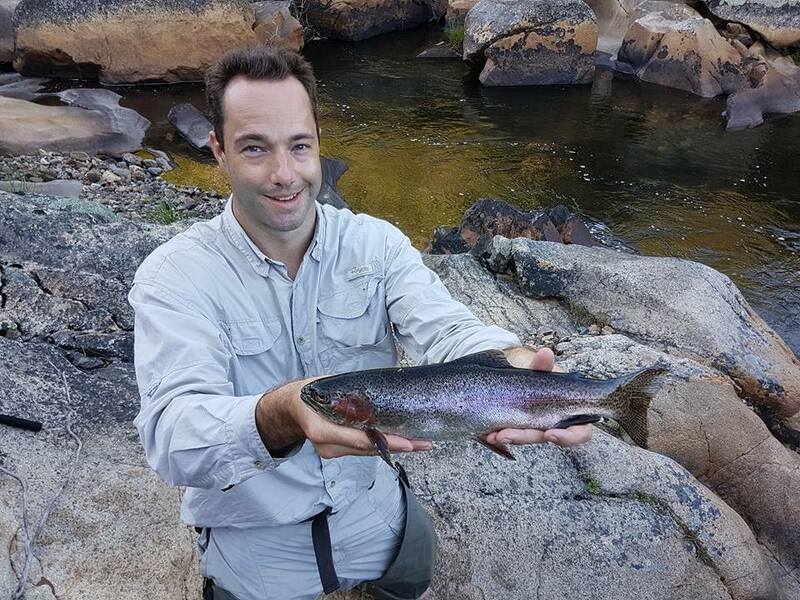 Most dams up around the mountain areas are fishing well, So if you have not fished them yet now is the time to start, Best flies are hopper patterns. 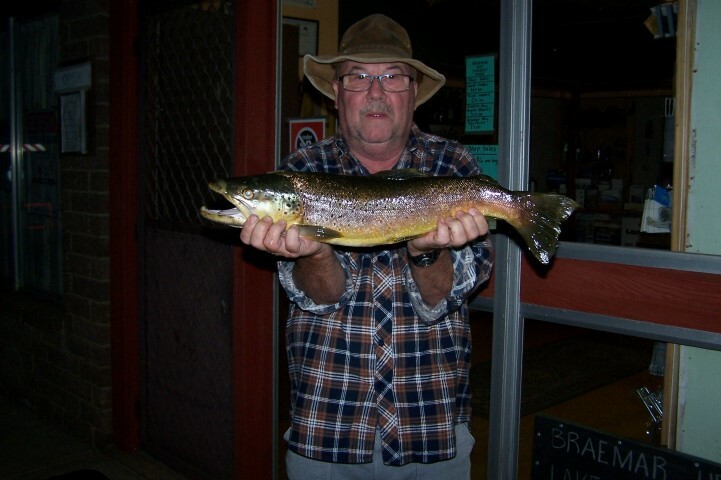 I just got back from a fishing trip around the Eucumbene / Murrumbidgee rivers and wanted to pass on the experience. Alpine rivers are still fishing really well. Hot days mean that the fish are a bit sluggish once the sun gets up high but had a fair bit of luck early in the morning and late afternoon. Caught our fill of 30cm fish and a real trophy brown that was caught, photographed, and returned to the river to fight again another day. My tips are get up early, and don’t be afraid to explore! Hiking for an hour from your car to find a secluded fishing spot can really pay off! Most rivers are fishing really well but with all this heat thing have changed so pick your streams most off the Monaro stream are a running a little hot so thing are quite but up around the mountains things are going well, Eucumbene, Thredbo are fishing great with all sizes off fish rainbows and browns are all going great. Up at Island Bend the fishing is good with some good browns up higher and rainbows down close to the dam. 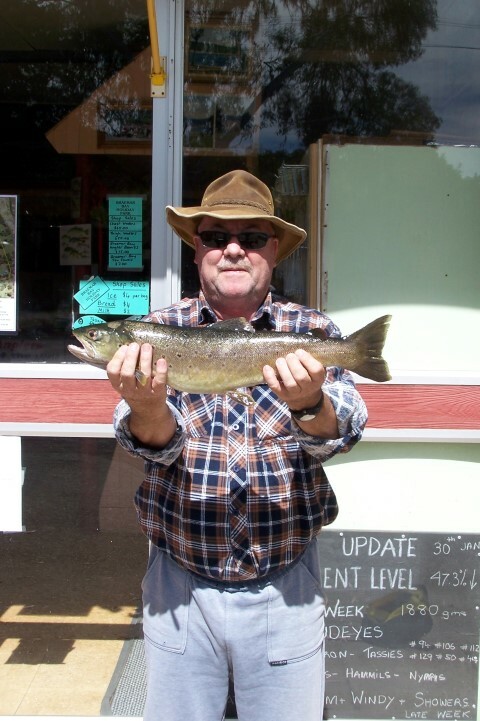 Do not forget about all the other small rivers up around Perisher all fishing well. 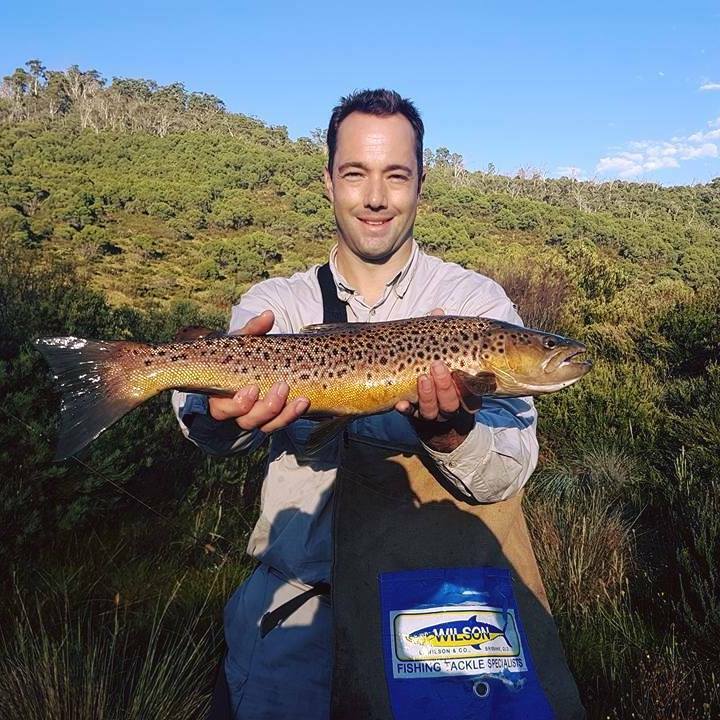 Best Dry’s are, Klinkhammers, Adams, Nymphs, Royal Wulff, Stimulators, Do not forget about the Eucumbene river up high thing are looking and fishing great. Most rivers are fishing well these rivers can test the best fly fishers out so if you think you are good enough get out there I’m sure you will be surprised how well they are fishing. Trolling has been good around Buckenderra, Seven Gates, Rushes, Braemer Bay with some good browns and a few rainbows. Best times have been early mornings 5am, till 9am, late afternoons from 5pm till dark. Remember the lake is warming up so go deep stay away form the shore line, If your have trouble getting down into the deeper waters we do have the tassie devils in 26 grams. Trolling flies have been going well late in the afternoons Mrs Simpsons, Bushy Horror and Craig Nightime. mudeyes once again being the standout bait. to improve significantly over the next 5 weeks or so. under a bubble float last week. Over at middling bank thing can’t get better with the mud eyes and worms both getting rainbows and browns. Braemer bay mudeye’s are smashing the browns and rainbow along with the power bait,.